Our team is interested in the role of tissue ‘resident’ macrophages during development, homeostasis and tissue repair. Macrophages are professional phagocytic cells that scavenge dead/apoptotic cells, debris, macromolecules and pathogens, and also produce cytokines, both concurring to tissue homeostasis and repair. They belong to the innate immunity arm of the hematopoietic system. Within the hematopoietic system that produces all blood cells, tissue ‘resident’ macrophages are a lineage of myeloid cells that arise from yolk sac-derived progenitors and that self-maintain in their tissue of residency, independently of adult hematopoietic stem cells (HSC). Resident macrophages from the same lineage, such as liver Kupffer cells, brain microglia, epidermal Langerhans cells, lung alveolar macrophages…, display tissue-specific phenotypes, perform tissue-specific functions and have distinct gene expression profiles. Thus, resident macrophages are a unique system where the respective contributions of ontogeny and environment can be investigated. 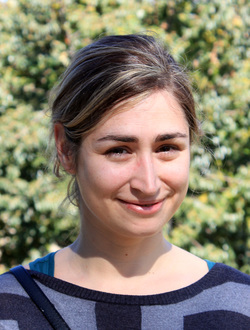 We will combine methods from the fields of immunology, developmental biology and angiogenesis to understand in vivo the development and lineage-specific function(s) of resident macrophages, thereby opening new venues of research into the interaction between macrophages and endothelial cells during development and in response to tissue damage. 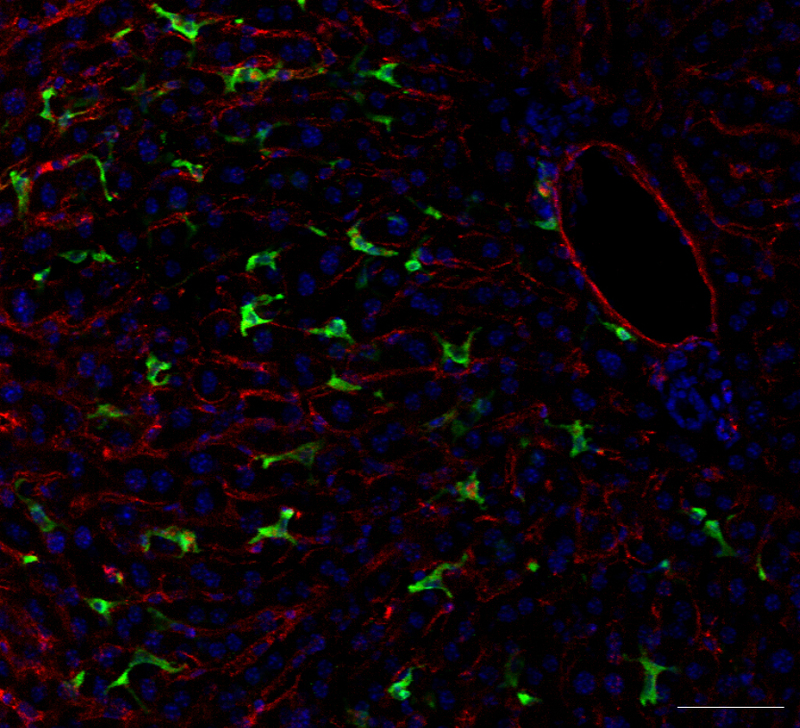 Resident macrophages pulsed-labelled before the emergence of HSCs during embryonic development persist in tissues of 1 year-old animals (here Liver).